Cocaine is a highly addictive drug that is most often snorted, smoked or injected. Cocaine abuse can lead to marked physical dependency. When someone stops using cocaine, he or she may experience a range of withdrawal symptoms that can vary in severity. Who Answers? to talk to a rehab support specialist about treatment options in your area based on your insurance coverage. When a quits using cocaine, the body begins to quickly clear itself of all traces of the remaining substance. In fact, the bulk of the recently used cocaine stays in that person’s system for only about 24 hours. This relatively quick clearance is often accompanied by the onset of acute cocaine withdrawal symptoms that, on average, will occur about 24 to 36 hours after the last use of cocaine. The psychological symptoms can be very difficult to deal with. Although cocaine does not cause the type of physical withdrawal symptoms produced by drugs such as alcohol or opiates, the experience can be quite unpleasant. The depression, irritability and cravings that occur when someone is in withdrawal from cocaine[/.ink can be very difficult to deal with. Many people relapse due to the intense psychological symptoms of withdrawal. While the physical symptoms of cocaine withdrawal may be unpleasant, they generally don’t pose any immediate danger to the recovering individual. As such, the detox process from cocaine is often a more straightforward procedure than that seen in some other forms of detox – like that from alcohol or sedative medications. Cardiovascular health may be affected in those who have long-standing histories of cocaine abuse, and being aware of any medical needs will be important as these individuals detox. But such severe consequences are relatively rare. More commonly reported physical complaints include withdrawal headaches, which can be treated as needed. Intake. Mental health professionals or physicians assess whether you need to be admitted to a detox program. The person performing the intake will ask a variety of questions about your physical and emotional health. They may take your vital signs and perform other physical examinations. The intake staff will determine if inpatient treatment in a detox program or a rehab program is right for you. Occasionally, you may be referred to outpatient treatment. Medical monitoring. When you are admitted to a detox program, you are usually seen by a physician within the first 24 hours. A nurse will monitor your vital signs and assess other aspects of your physical condition as well. Other staff and therapists will meet with you, assist you in the program and provide support throughout the day. Activities. In most detox programs, meals are shared in a cafeteria-like setting. Activity therapists typically design a program that can include volleyball games, yoga or table tennis. You usually have at least one support group per day. In longer-term rehab programs, the staff may also incorporate art therapy, music therapy and pet-assisted therapy, as well as more intensive therapy groups. Setting. The environment can range from a hospital-like setting to a more home-like setting. Some more expensive programs may offer such amenities as massages and chefs. In most programs, you will have a roommate, but private rooms may be available. Diet. If you have special dietary needs, such as food allergies, or you cannot tolerate gluten, most programs can offer special diets. Some programs can accommodate vegan or kosher diets, as well. Many people in cocaine detox have nutritional deficiencies from not eating enough while in active addiction, and the physician will assess for this and prescribe vitamins and other supplements as needed. Treatment programs provide a structured setting that entails more intensive group and individual counseling. These programs may last from a few days to a few weeks. In some cases, you will be sent from a detox program to a longer inpatient or outpatient treatment program, which can last several days to a few weeks. Detox and addiction treatment may be provided in one place, or the treatment program may be in a separate facility from the detox program. Not everyone will go to an ongoing treatment program after detox. It depends on the needs of the person and the physicians evaluation of his or her specific case. 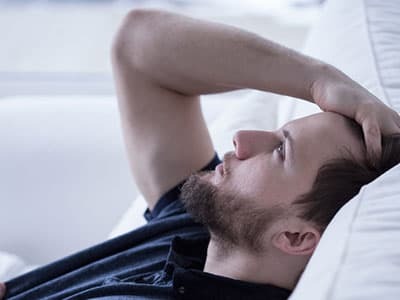 Aftercare, or follow-up care you receive after a cocaine detox or recovery program, is a vitally important component of many people’s ongoing recovery from addiction. Aftercare can include formal programs that meet up to several hours per week. This outpatient treatment is typically time-limited and lasts only for a few weeks. Other aftercare options include 12-step programs and sober living homes. It does not address the underlying problem that led to addiction. Cocaine withdrawal rarely has side effects that require medical attention. However, most cocaine users find it very difficult to stop using without the proper support in a controlled environment. Further, just stopping the use of cocaine does not usually solve the underlying problem. A person began using cocaine for a reason. Just stopping cocaine without therapy to examine these underlying issues usually results in a quick relapse and use of cocaine again. At this time, no natural detox methods for cocaine are endorsed by the medical community. You may see herbs or supplements advertised on the Internet as a substitute for cocaine or as a way to withdraw from cocaine. But many of these are dangerous or simply have no real demonstrated value in treating cocaine addiction. Whether you have concerns about your own cocaine addiction or are seeking help for a family member or friend, call 1-888-319-2606 Who Answers? today. Our specialists will help you locate a treatment center in your area that best suits your needs for treatment and recovery. Cocaine detox programs offer many different types of settings and services, and one of them is bound to be a good fit for your needs.
. Substance Abuse and Mental Health Services Administration (US); 2015. Treatments for substance use disorders.
. Narcotics Anonymous. (1987). Welcome to Narcotics Anonymous.